Sharmil is MD of Opus Una Financial Services Consulting. He is a business transformation specialist with over 19 years experience in consultancy and practitioner roles in Wealth Management and Investment Banking. He founded Opus Una in 2011 to provide ‘outcome-based’ consulting to banking clients, focusing on growth, operational efficiency and enhancing control environments. Opus Una blends consulting theory with practitioner experience to deliver robust solutions in complex environments. 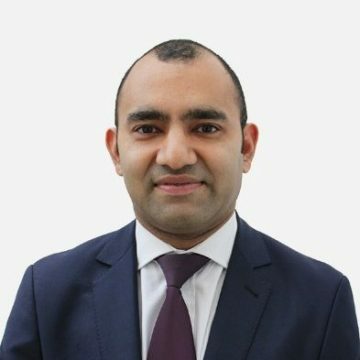 Sharmil started his career at Accenture working with investment banking clients and then worked in-house at Deutsche Bank and Barclays Wealth prior to starting Opus Una. He is a mentor, advisor and consultant to a number of Wealth Management/Investment Banking FinTechs.